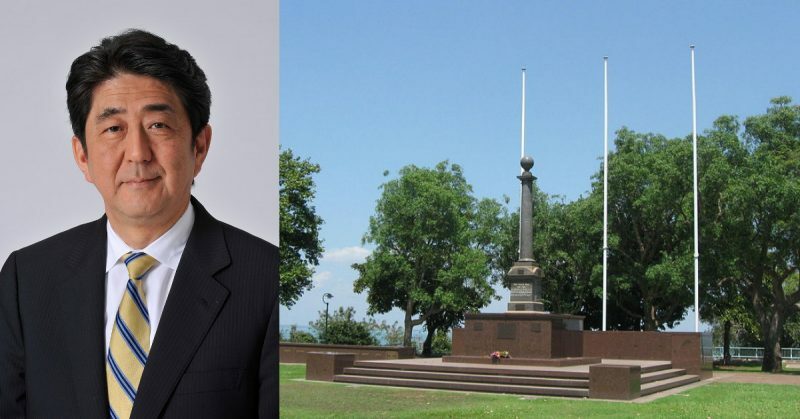 On November 16th, 2018, Japanese Prime Minister Shinzo Abe laid a wreath to commemorate the fallen at Darwin’s Cenotaph, some 70 years after the Battle of Darwin, as it became known in Australia. The Prime Minister was in Darwin to discuss trade and investment deals worth more than 55 Billion Australian Dollars. Between 1942 and 1943, the Japanese Air Force launched 64 attacks against Australia with the first onslaught against Darwin being the heaviest and most deadly. More than 240 aircraft were thought to be involved in two separate raids on February 19th, 1942. These raids were led by Mitsuo Fuchida, the airman who had led the attack on Pearl Harbor. The attack cost approximately 250 Australian lives. 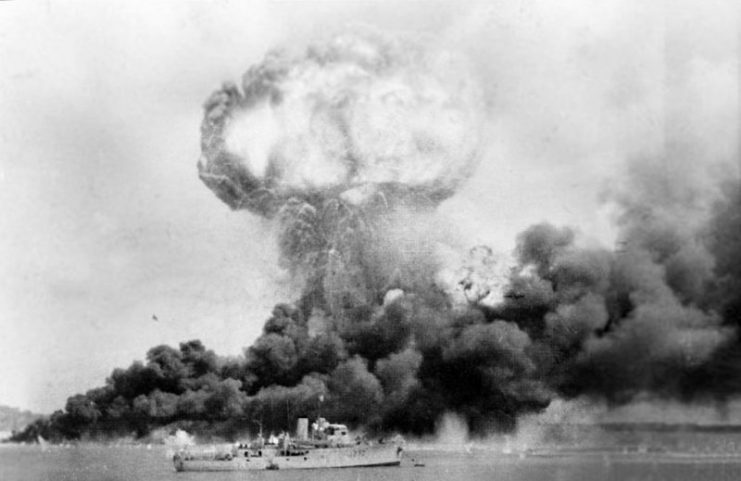 The explosion of a ship, filled with TNT and ammunition, hit during the first Japanese air raid on Australia’s mainland, at Darwin on 19 February 1942. In the foreground is HMAS Deloraine, which escaped damage. After Australia had officially declared support for the US and British Allies and war on Japan on December 9th, 1941, the Japanese mounted the Darwin attack just before 10 am, dropping an estimated 114,000 kilos of explosives launched from four aircraft carriers. A further follow-up raid came only an hour later from land-based bombers from bases in Japanese Indo-China. On the morning of the 19th February, there were 65 vessels in the harbor, of which by far the most devastating loss was the American Destroyer the USS Peary which was sunk with the loss of 88 men. 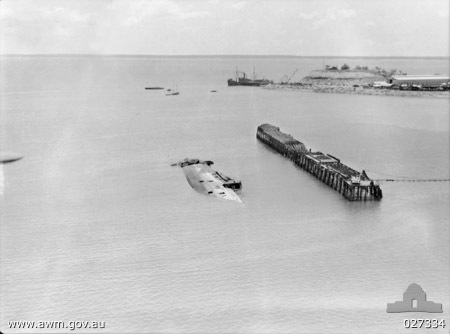 Peary sinking at Darwin, 19 February 1942. 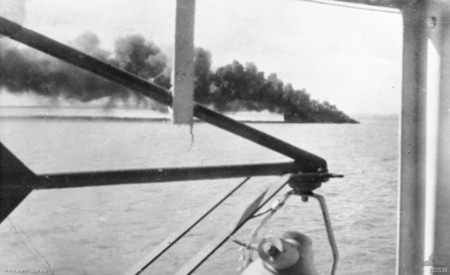 Two further American supply ships were destroyed, and a seaplane tender named the William B Preston, taking the tally up to 103 US personnel lost during the battle. In an echo of previous events at Pearl Harbor, the attacking planes were sighted on their way to Darwin by an Australian coast-watcher who radioed a warning to the Amalgamated Wireless Postal Radio Station at Darwin. The U.S. Navy destroyer USS William B. Preston (DD-344) flying a homeward-bound pennant at her main as she heads home from the Asiatic Station in the early 1930s. Unfortunately, the warning was ignored as the sighting was misinterpreted as visual contact of expected American aircraft. All but one of the USAAF’s Curtiss P-40 Kittyhawk warbirds were either destroyed on the ground or shot down. First Lieutenant Robert Oestreicher was credited with shooting down one Japanese Aichi and damaging another. 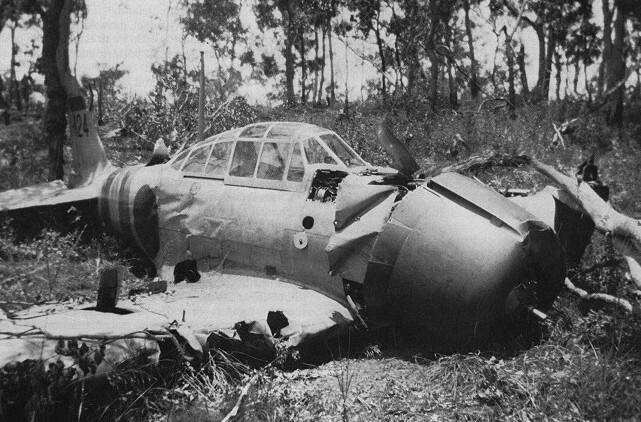 A crashed U.S. Army Air Force Curtiss P-40E Warhawk of the 33rd Pursuit Group (Provisional) at Darwin, Northern Territories (Australia). 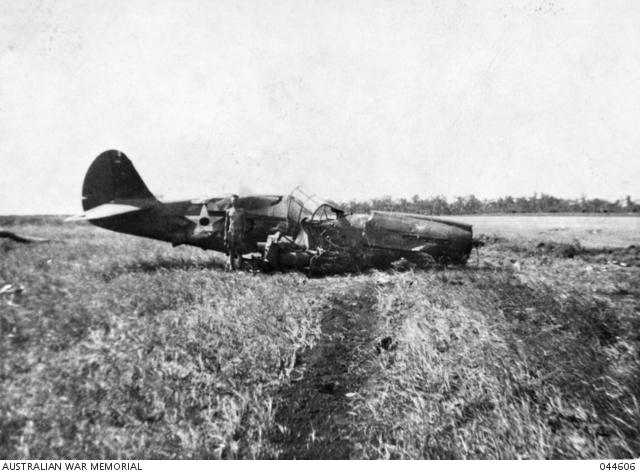 This was one of nine USAAF P-40s shot down during the Japanese Raid on Darwin on 19 February 1942. The Royal Australian Navy lost seven men when four of its ships were hit, the HMAS Swan, Kurra Kurra, Gunbar and Kangaroo. The Merchant Navy lost five ships and forty-one men, and another thirty-nine dock workers died when depth charges on the MV Neptuna exploded. In contrast, the Japanese lost just four aircraft and recorded only two casualties. Sergeant Hajime Toyoshima was taken prisoner after crash-landing on Melville Island and was then sent to a prisoner of war camp in Cowra, New South Wales where he later led a mass break-out in 1944. The air raids caused chaos in Darwin with half the population said to have fled the city for good. Others were accused of looting the city, still more became refugees terrified of the prospect of a rumored invasion. The loss of the merchant supply ships meant that Java and the Philippines were all but cut off from further Australian support. MV Neptuna explodes at Stokes Hill Wharf. 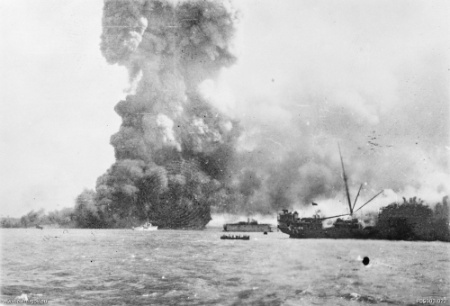 In front of the explosion is HMAS Vigilant which is undertaking rescue work. In the centre background is the floating dry dock holding the corvette HMAS Katoomba. In the foreground is the damaged SS Zealandia. Confusion following the battle put estimates of those killed up to 1,100 military and civilians, with reports of barges full of bodies being towed out to sea and sunk. Eventually, a plaque unveiled in 2007 put the number at 292. Official records differed with the USAAF and American Navy both recording dissimilar numbers. However, medical records of those injured have led historians to believe that, overall, the lower figure is more likely to be the most realistic estimate. In any event, veterans at the wreath-laying on Friday agreed that after more than 70 years, Shinzo Abe’s act of commemoration at the Cenotaph was a historical moment of reconciliation for the two Western Pacific nations.